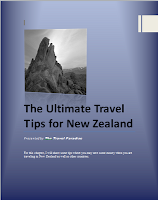 New Zealand currently has two all airlines, Air NZ, Jet Star, Air NZ is New Zealand's major airlines, flying the route up. Another airline is flying mainly in big cities or popular tourist spot. If you want to know the public holidays in New Zealand, see here.